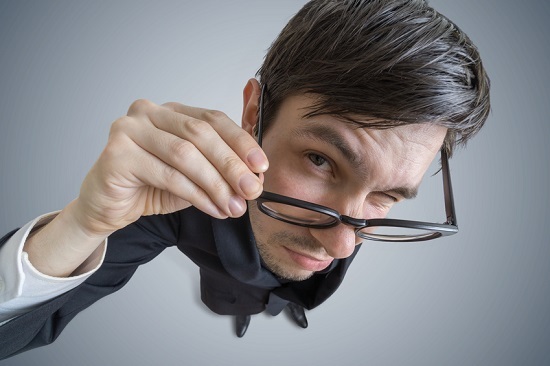 Provides answers to popular (but fallacious) reasons atheists give for believing God does not exist. 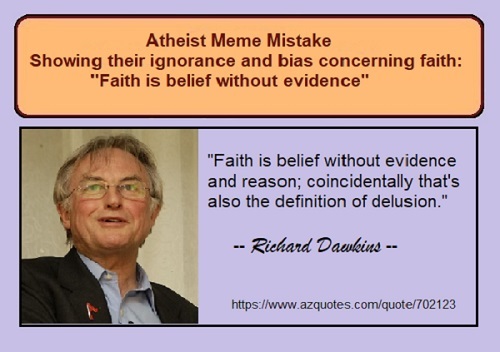 Many atheists proclaim themselves to be bastions of reason and logic. They consider themselves to be free thinkers who are correct in their rejection of God. They believe themselves to be superior in their thinking when it comes to matters concerning God. That’s ironic since it can be easily demonstrated that 1. 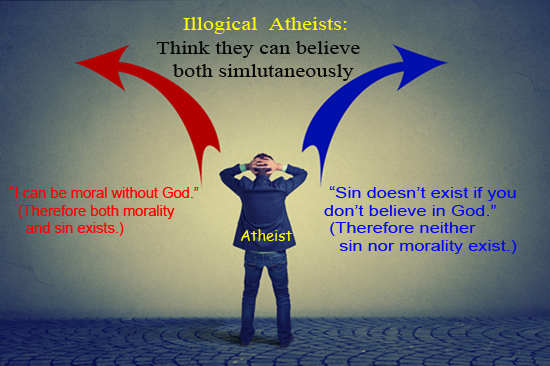 Many atheist claims are illogical and 2. an atheist cannot live consistently within an atheistic worldview. Since many will miss this second point, let me emphasize it by repeating it, atheists cannot live consistently within an atheistic worldview. In fact, no one can live consistently within an atheistic worldview. That is a sign that the atheistic worldview is not true. 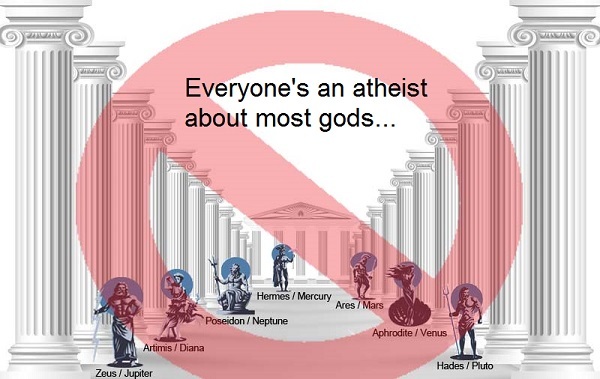 We are all atheists about most of the gods humanity has believed in. Some of us just go one god further. 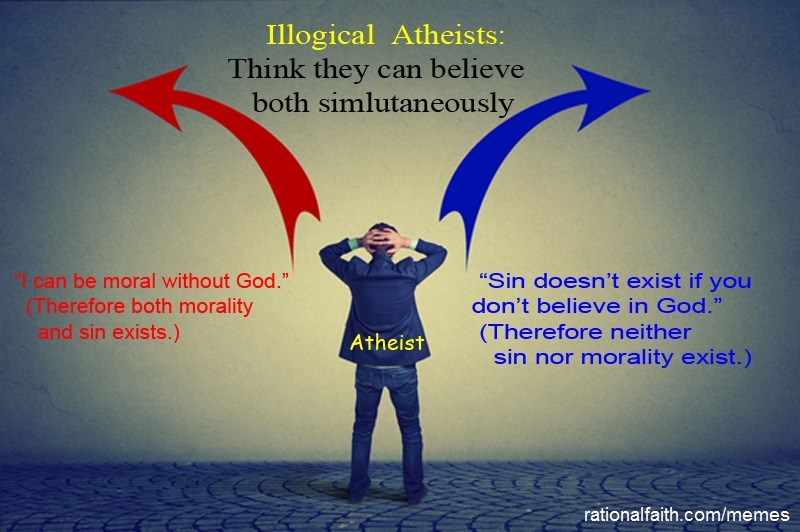 For people who pride themselves on their reason and rationality, it’s rather amusing to see this atheist meme which is full of logical errors. I can’t say I’m surprised though. Atheists and evolutionists alike often appeal to logical fallacies in their futile attempts to bolster their false claims. 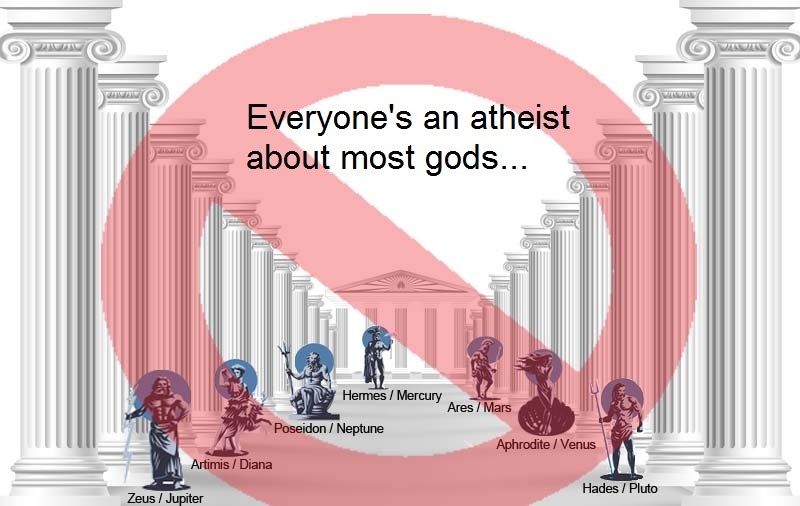 “We are all atheists about most of the gods humanity has believed in.